Francesca has two Bachelor’s degrees, one in Engineering and the other in Music-piano, she is often defined as Cultural Engineer. She developed her professional skills managing international no-profit projects with a strong component for creativity, innovation and attention to education. Her impact is the capacity to create value, put different resources systematically together, create cultural projects with a strong impact and, at the same time, pay a careful attention for management, from strategy to operations with entrepreneurial mind-set. 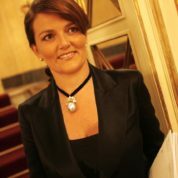 In her career, she manages different start-up (Festival MITOSettembremusica in Milan and Turin, some cultural projects of EXPO 2015 in Milan, Fondazione MAST in Bologna a philanthropic Foundation, StradivariFestival in Cremona, the new construction and the opening of a Opera House in Florence) and she developed strategic and project skills, the capacity to match different Stakeholders and Shareholders, the human resources recruiting capacity, team motivation and a good quality of relations with all the people involved. She also managed very critical situations (Opera House Florence, Conservatorio School of Music in Milan) and complex systems that allow her to develop skills for crisis-management, change management, negotiations particularly with unions and politics. I support the teaching profession and the Global Teacher Prize because the pillars of me "becoming an adult" have been my family and passionate teachers. Thanks to them I am today what I am, they stimulated my brain and created my "values" backbone. I hope that many young people could find global teachers who can understand and guide them to find their path in life.